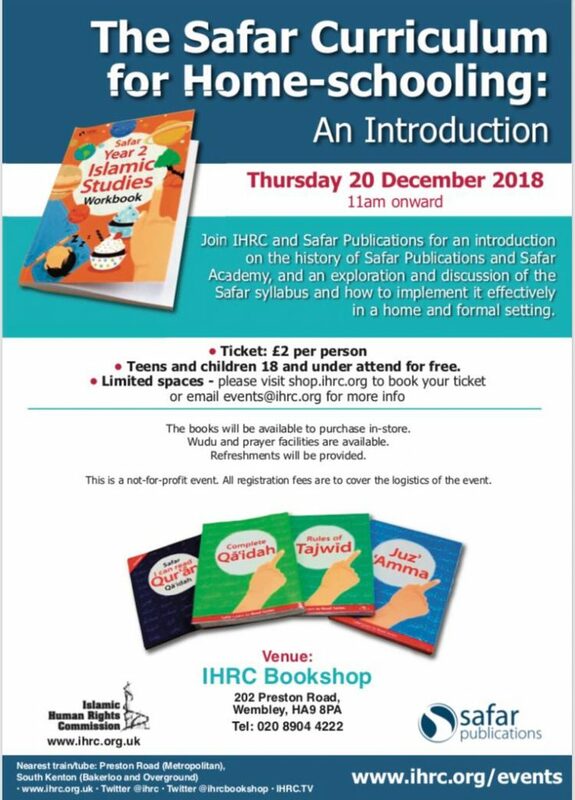 Join IHRC and Safar Publications for an introduction on the history of Safar Publications and Safar Academy, and an exploration and discussion of the Safar syllabus and how to implement it effectively in a home and formal setting. This event is for families who home-school and those interested in home-schooling. The books will be available to purchase online and in-store. Teens and children 18 and under attend for free. Please email events@ihrc.org if you have any queries. This is a not-for-profit event. All registration fees are to cover the logistics of the event. Wudu and prayer facilities are available. Please get in touch if you have accessibility requirements. Challenges unique to home-schooling and suggested solutions. 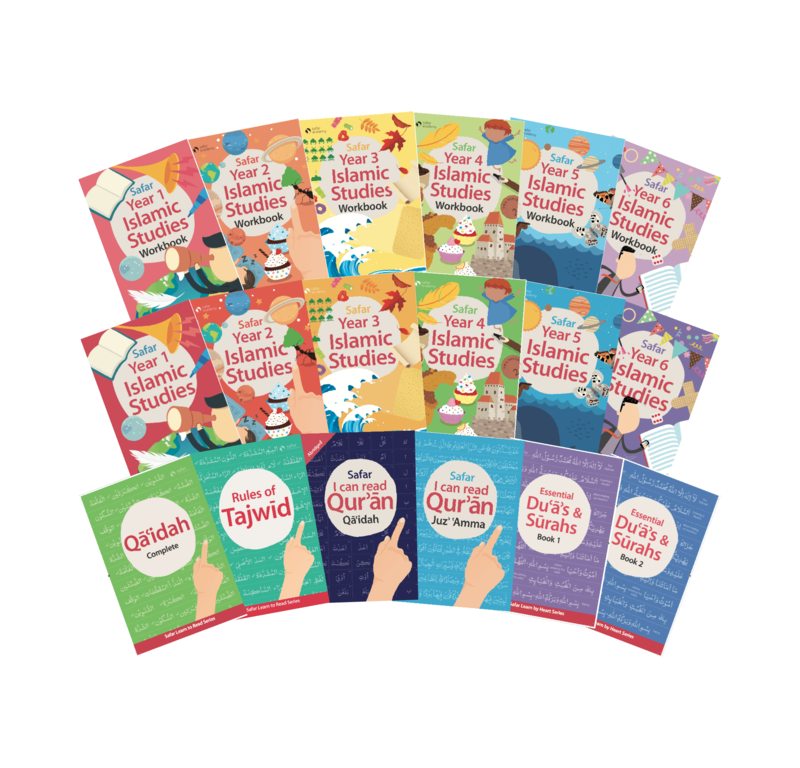 Safar Publications is part of Safar Academy Trust, an Islamic supplementary school with branches across the South East of the UK founded by Shaykh Hasan Ali in 1998. Safar Publications is a growing publishing arm of the trust, and through this dedicated and distinct service, we aim to create the best and most innovative tools to meet the learning needs of today’s students, particularly in Islamic education. Our work focuses on two key areas: creating the best teaching tools and resources and providing the best support to all the users of our curriculum. Our growing range of services includes syllabi, teaching resources, teacher training and development, curriculum implementation help, administrative support and continued development of institutions and leaders in our communities. We do this with the vision of making learning and teaching engaging, effective and innovative. Shaykh Hasan Ali (Director, Safar Publications and Safar Academy Trust). Shaykh Hasan Ali graduated in 1997 as a scholar in Islamic education and in addition, gained a Masters in Educational Psychology at the Institute of Education (University of London). He was a long-serving imam in London Islamic Cultural Society (LICS) mosque on Wightman, North London where he founded Safar Academy, enrolling with only a handful of students. He also taught for a number of years at Islamic schools and colleges, before devoting all his time to the growth and development Safar Academy, which has grown to include four supplementary schools (serving over 700 students), as well as a publishing wing that provides services to hundreds of mosques and supplementary schools in the UK and internationally. After studying in the Institute of Islamic Education, Dewsbury, Muhammed enrolled at University College London to complete a BSc and MA in Biological and Social Anthropology. He is currently a PhD candidate at the School of Oriental. At Safar Publications, he leads the development of the syllabi and its educational services.